Yesterday was travel day! I headed off to the airport for my second trip to Alabama in two weeks. 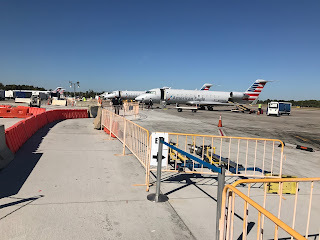 I also flew my third different airline of my recent travels--American through Charlotte. The aircraft itself, however, caught my attention. 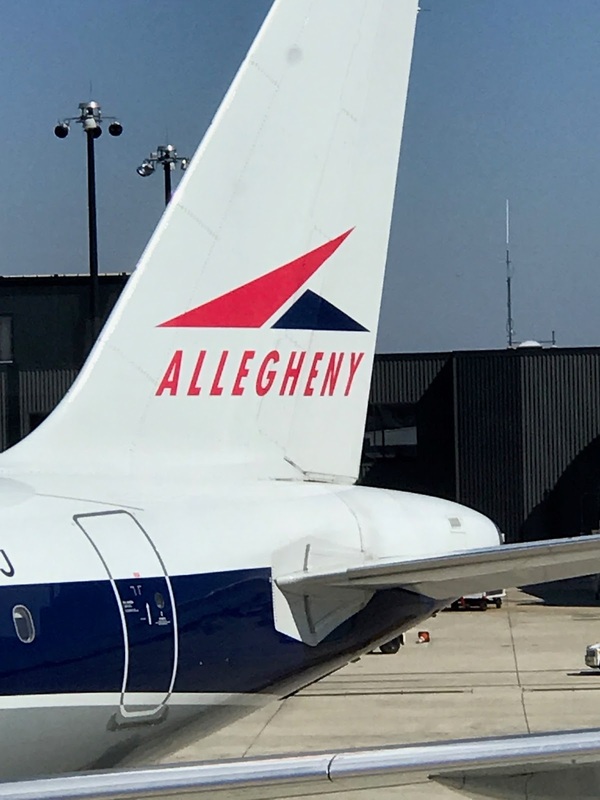 The tail of the American Airlines jet had Allegheny painted on it. Clearly a reference to the now many times consolidated Allegheny Airlines that used to service the Northeast. I remember joking about "Agony" Air. Thinking of Allegheny Airlines also reminded me of other, now mostly forgotten, airlines that I have flown or known. Mohawk comes to mind as do Braniff, National, Eastern, TWA, PanAm, US Air, and America West just to rattle off a few. Walking to the jet at Charlotte also reminded me of the old days before jetways. I was very glad that the day was pleasant and not raining. Maybe the thrill of flying is back? Not hardly. American Airlines billed itself as the largest airline in the world as I was traveling yesterday. I am still unclear if that is a good thing. Travel days always help me find interesting things.